However, this type of praise may do more harm than good. Instead, focus on praising effort, because it’s something kids feel like they can control (unlike their intelligence or natural abilities). 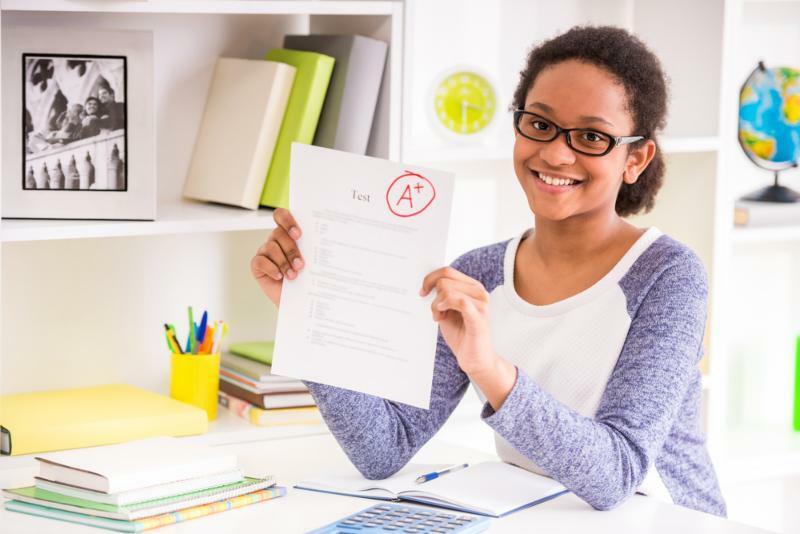 Also, though it is indeed time to celebrate good grades as a victory, keep in mind that it’s possible to go overboard with rewards and incentives. First things first, spend the time to figure out what’s going on. There are usually one of two reasons for bad grades. Reason One: They don’t have mastery of the content. tests that cover material over a longer period of time. appropriately, and might need to work on their study skills. Alternatively, despite their best efforts, they may need some one-on-one help from you, a teacher, or a subject tutor who can help bring them up to speed. Reason Two: They have difficulty with organization and executive functions. These are usually the kids that get great test scores, but don’t turn in their homework. Their projects are often late. They seem disorganized. They don’t know when things are due. For students who fall into this category, it’s usually difficulty with executive functions and/or lack of organization skills that’s causing their low grade, not content mastery. If this is the case, your child may need some work on their routines and habits both in school and at home, and could benefit from working with an Educational Coach. Once you’ve determined which camp your child is a part of, it’s time to start looking forward rather than dwelling on what happened in the past.